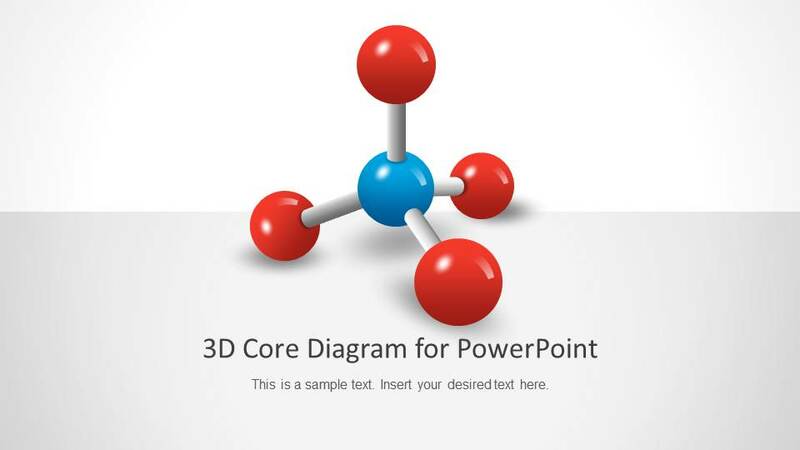 Create inspiring presentations with the 3D Core Diagram for PowerPoint. 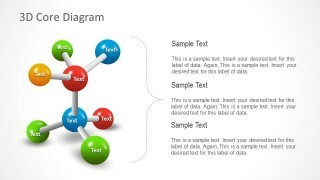 The template contains professional PowerPoint diagram to use in presentations. Organize and connect different elements of a business with the colorful shapes and graphics provided. The diagram was inspired by molecular geometry and atoms. Three-dimensional spheres and pipes are arranged on the slides to resemble different molecular structures. In theory, the spheres represent elements and the pipes show their interconnections. Some of the spheres are connected to center shapes. This shows their connection to the main element, which in chemistry, applies to balancing chemical equations. 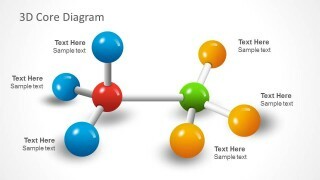 The presenter can also use the Chemical Industry Shapes for PowerPoint which can be downloaded from our Gallery. 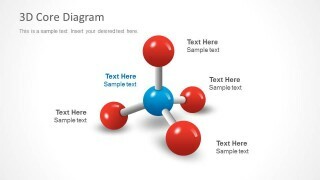 Each sphere contains a text placeholder where the presenter can place labels for the different concerned elements. They have different colors to help distinguish them from each other. The colors can represent a category of employees that is connected to a main management representative. The template can be used to show a modified organizational model, presenting the members and officers concerned in the responsibilities of an individual. Users can apply these slides to clear up role expectations and role perceptions through the course of the employee’s work career. 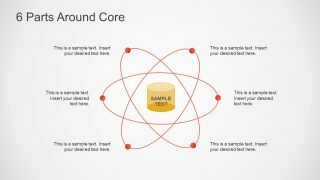 The discussions and explanations for each of the elements in the slides can be discussed in the text placeholders located on the slide designs. 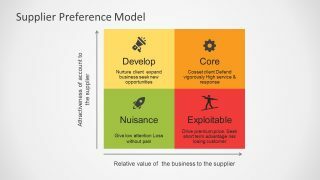 Another use for the template is to showcase the elements of a business plan. The presenter can use base spheres as representations of the principal components of the plan, such as planning and implementation. The different branches of the plan, such as more specific tasks, are symbolized by the spheres which are connected to the main base. Each of the spheres are created applying modern flat material design techniques. This means that the 3D effects are created with the overlap of shapes composites. 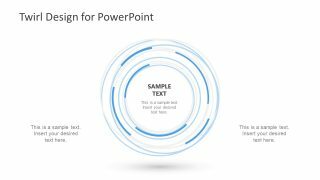 This provides greater flexibility when porting the shapes to other presentation software as Google Slides or Keynote. 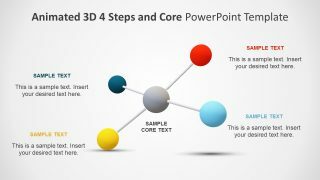 The 3D Core Diagram for PowerPoint is ideal for showing relationships among different components. The eye-catching graphics help the audience visualize the actual connections of the elements, making them easier to understand and to remember. The PowerPoint objects can be edited and modified to fit specifications.